At Jo Holdsworth Recruitment we have absolute confidence in what we do; our specialist recruitment consultants are committed to delivering high calibre, temporary and permanent employees to help drive your business towards further success. Our consultants are here to ensure that the candidates we put forward have the ability, skill set and, most importantly, the right competencies and personal attributes to complement the core behaviours and principles of your organisation. By concentrating our services in the Leeds and Yorkshire area, and within call centres, legal, office, property and sales recruitment, this has ensured that we have a concentrated pool of candidates within these specialist sectors. JHR is a local business, not part of a national chain. This means that we’re able to offer a more bespoke, tailored, flexible service, and the opportunity for face-to-face meetings with both employers and job seekers, to help build better relationships. We know that when you have a position to fill, you need a consultant that will be responsive and proactive in order to bring a fast result. That’s why we promise to only accept vacancies that we’re 100% confident we can fill with a quality candidate, in a short period of time and at a competitive cost. With over 85% of our business coming from repeat clients and referrals, it’s clear that Jo Holdsworth Recruitment is the agency that delivers! We started working with Davina at Jo Holdsworth Recruitment in October 2014. We have worked with a number of firms over the years and can say that none have measured up to the service that we have received from JHR…. In June of 2014 we started looking for Account Managers to populate our expanding salesforce. We trialled some local recruiters and JHR were head and shoulders above the others in terms of the complete service that they offered…. 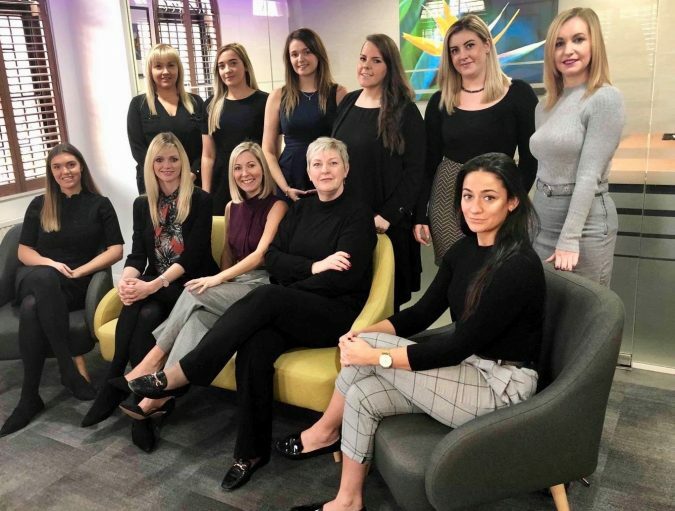 I have worked closely with the team at Jo Holdsworth Recruitment since moving into the role of Recruitment Manager in 2015, JHR had previously recruited for Enact for a number of years prior to this….. I have worked with Jo Holdsworth Recruitment for nearly 10 years. I have always found the team to be incredibly professional, helpful, supportive and friendly with all the recruitment processes that we run….. In the time I have worked with Jo Holdsworth and her team they have consistently gone above and beyond and continued to impress me. I work with JHR on a sole agency basis as I have complete trust in their ability….. Call Credit have worked successfully with Jo Holdsworth Recruitment for over 5 years, Jennifer became my Account Manager at JHR in February 2014 and she looks after all the roles that we give to JHR. Jennifer is very pro-active, she has a real understanding of our company and the roles we recruit for and therefore sources a really high calibre of candidate for us…. To get the right people and balancing time pressures is always a challenge for any business. JHR, has taken the time to understand who we are and what we need in and from our team members…..
Over the last 8 years JHR have been my agency of choice having consistently provided high quality administrative and analytical staff into the departments I head up, matching candidates with the right behaviours and competencies combined with the correct skill set and experience…. It is company policy to meet all our candidates face to face. We conduct competency based interviews and use online testing software, tailoring testing to suit individual client requirements. We obtain proof of identity and eligibility of right to work in the UK and can enhance our compliance checks to suit individual client requirements. We measure and monitor our interview to placement ratio, which are discussed at review meetings. As a minimum we confidently aim to provide an interview to placement ratio of 3 to 1. (out of every 3 interviews that take place we aim to place at least 1 candidate). All candidates we submit for interview/ temporary assignment will be thoroughly matched to the specific vacancy, with all candidates provided with a job spec/ company web-site and interview/competency coaching.